As land operators specialized in the Micronesia, we make every effort to be better. 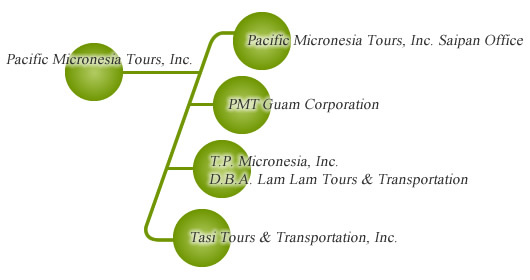 The PMT Group has achived top results in tour arranging, other related services, and transportation in the region. The group deals with fascinating islands in the Micronesia including Guam, Saipan, The Republic of Palau, Rota, Tinian, Yap, and Chuuk Islands. The PMT Group continues to strive to offer high quality service.Every single one of the PMT Group’s more than 400 staff is ready to serve you.